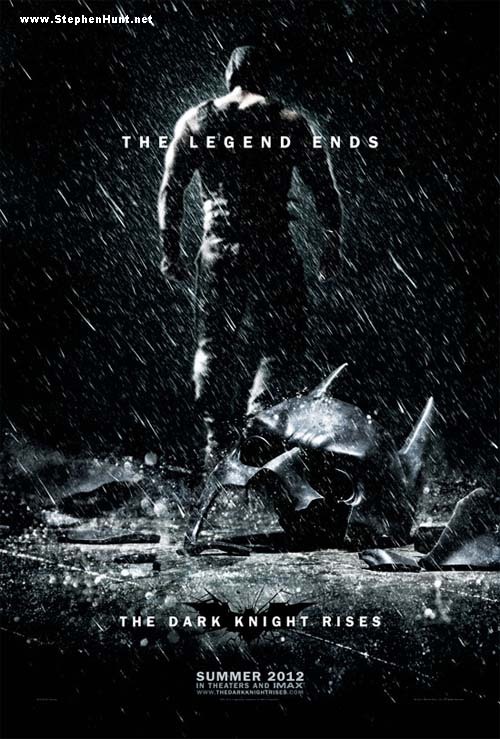 Here’s the poster for the next Batman movie – the last outing for Christian Bale as Bruce Wayne. I am fascinated to see how this film will stack up to the 2nd movie with the Joker. This series, unlike the ones that came before, has got better with each movie – I mean, what a performance from Heath Ledger. Very unusual for superhero movies, where the first often breaks some ground – but then the follow-ups go to pieces (Spiderman, Superman etc). Come on Christopher Nolan, don’t let me down, here!